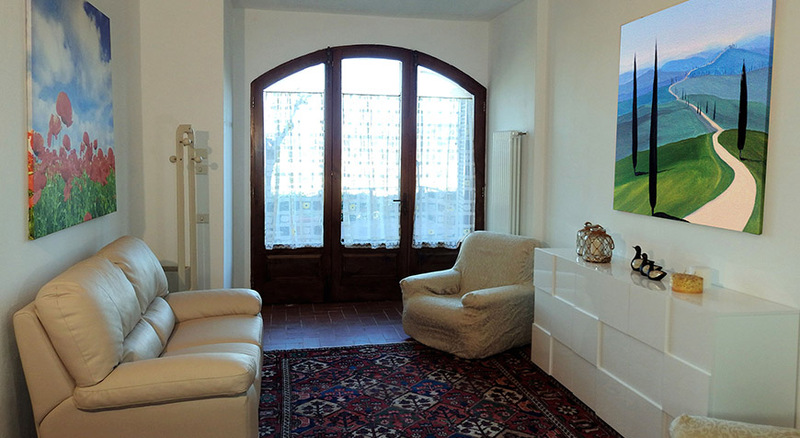 Our comfortable apartment is set Just Outside the city, only 6Km. 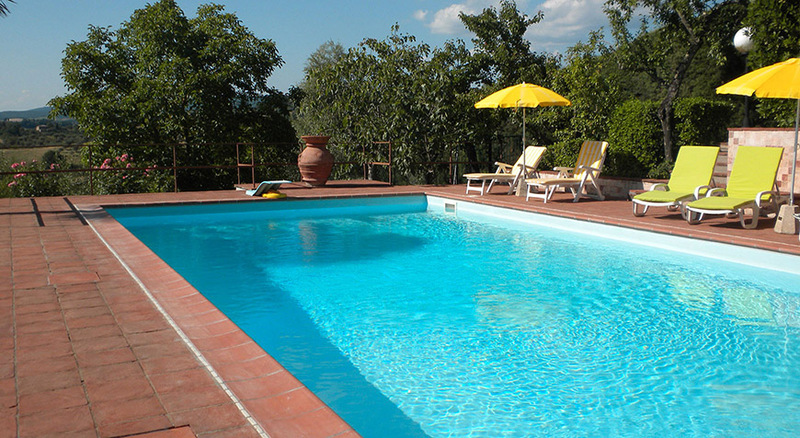 from the Historical Center of Siena in a peacefull and quiet area at the beginning of the Chianti countryside. 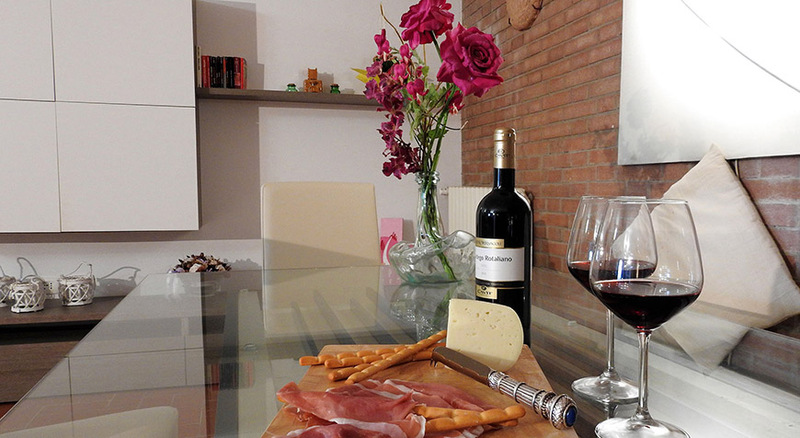 The apartment is located at the groundfloor of a private villa where only the owners family lives. 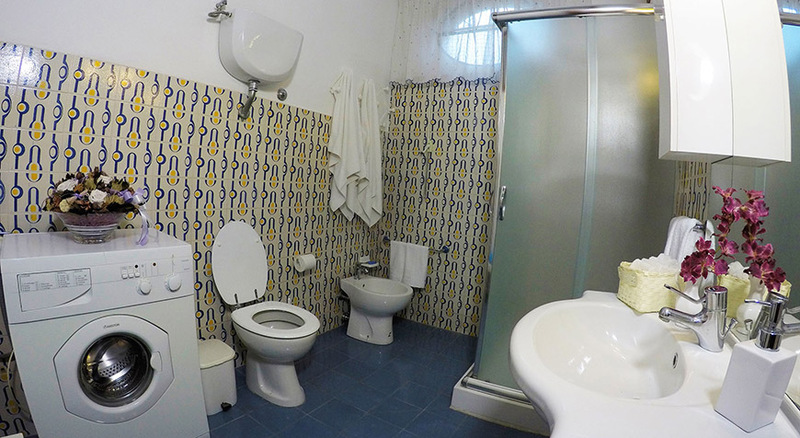 It has a private courtyard, garden, car park and seasonal swimming pool. 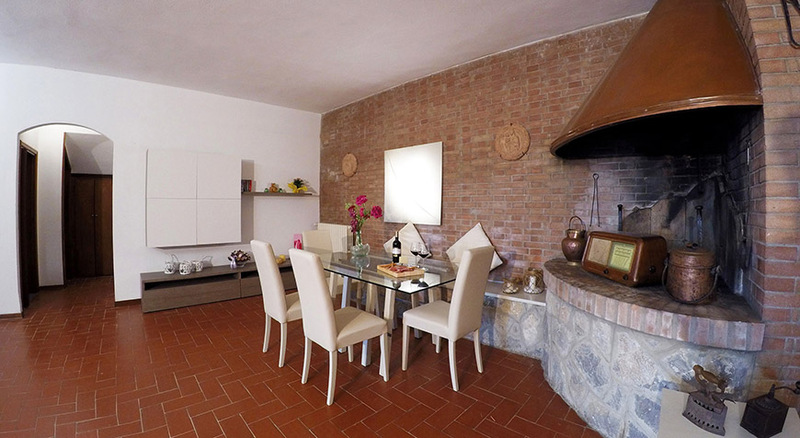 It is about 100 sqm. 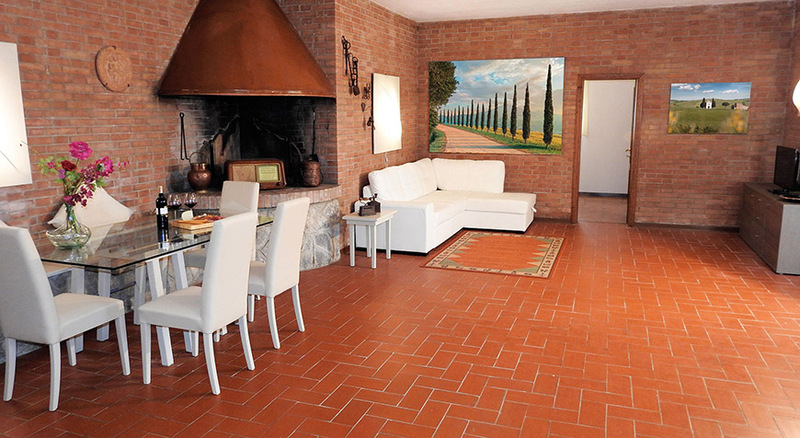 and has a big living room, two bedrooms, one with double bed and one with twin beds. 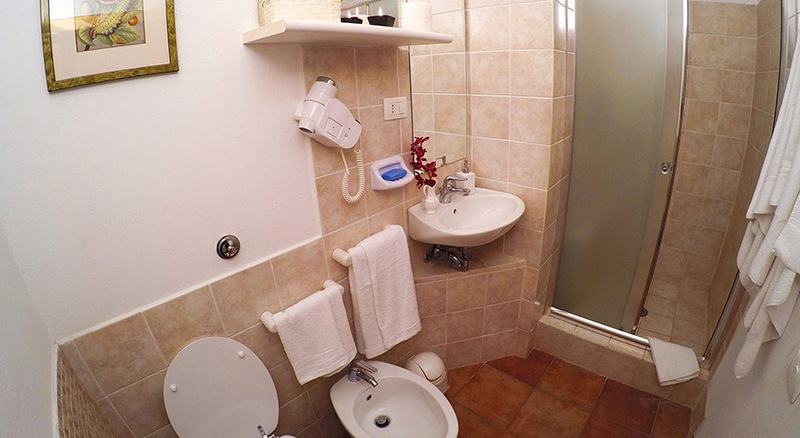 Moreover it has a small kitchen and two bathrooms with shower. La Tuia can comfortably accommodate 4 people, on request up to 6 people using the double sofa bed. 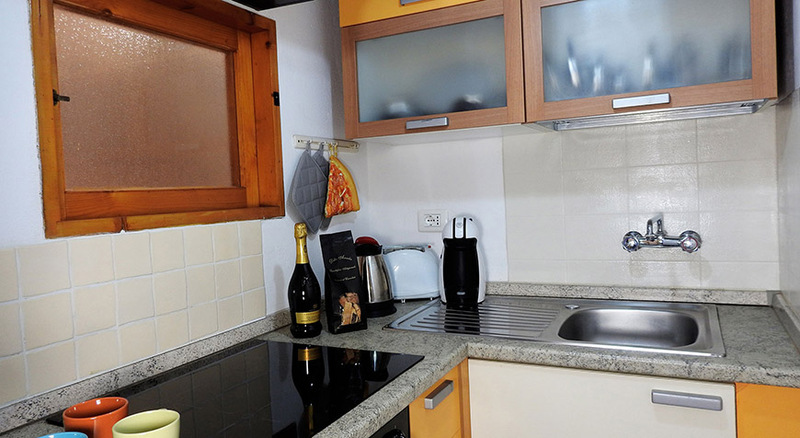 Guests will have access to apartment, to the swimming pool and to the green areas. 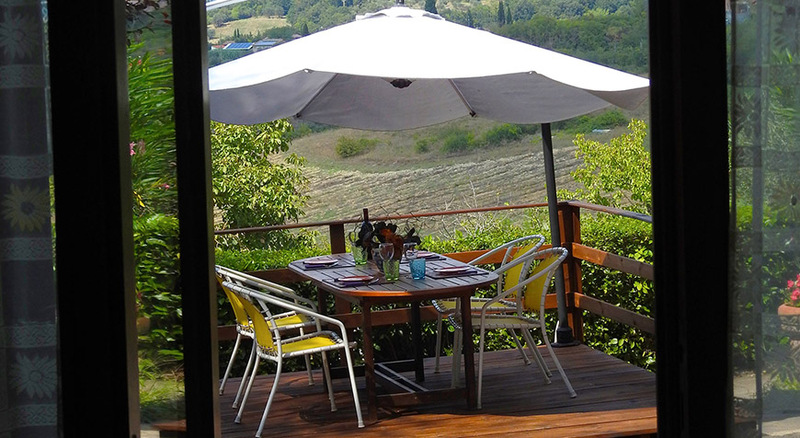 There is an open-air sitting area which can be used from our guests during the summer for a wonderful "eating with view" facing the sunset in the Chianti hills. The apartment is independent; for the check in and the check out and for any other needs we live on the upper floor and can always help you. 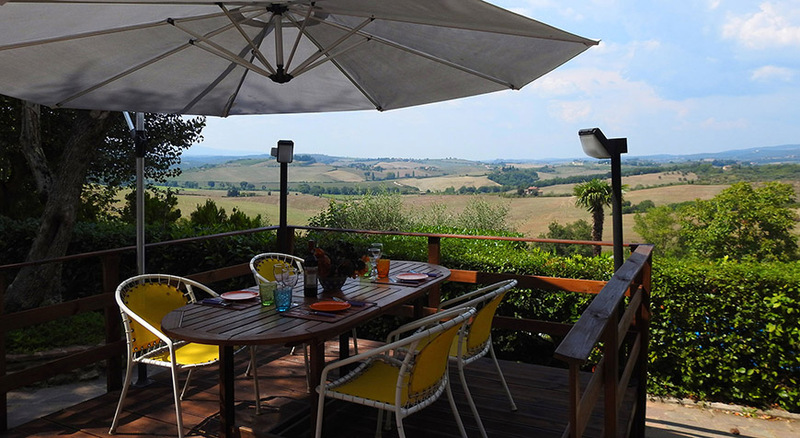 The apartments is in a very strategic position: is less than 15 minutes far from Piazza del Campo but at the same time is far from the noise of the city, fully inside the green Siena country in the main chianti road towards Castellina in Chianti and radda in Chianti. 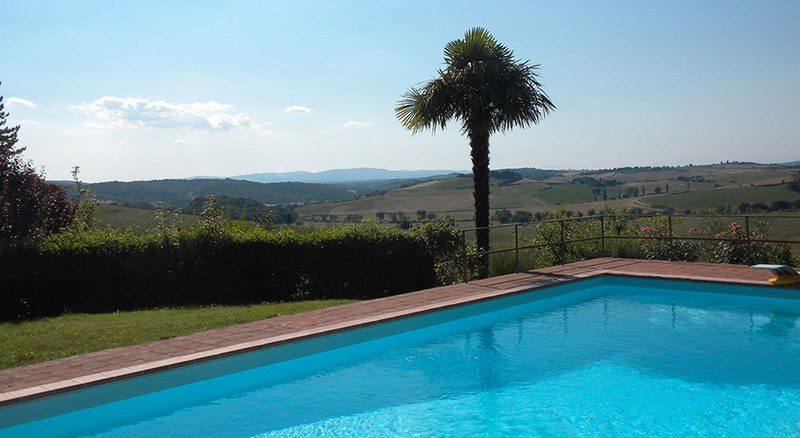 Also San Gimignano (that can be seen from the swimming pool) and Florence are easily reachable respectively in 30 and 45 minutes not needing to go back to Siena traffic. 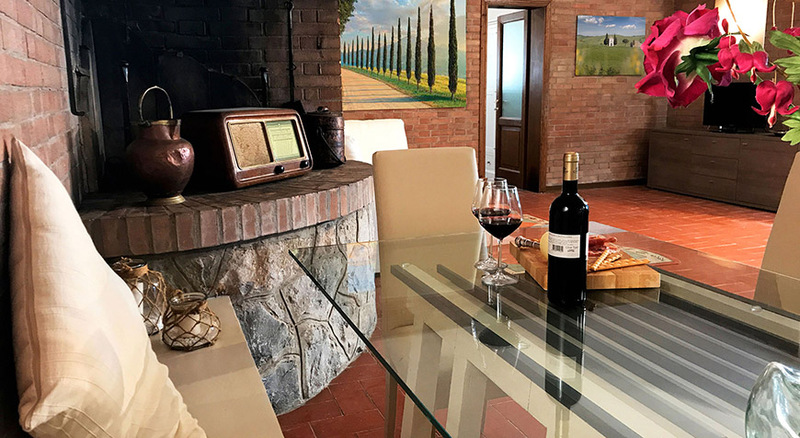 So La Tuia is perfect for those who wants to have a week of relax in the Chianti Country with cultural or eno-gastronomic tours in the surroundings. You will find drugstores, banks, supermarkets, restaurants, speciality shops and all other services in a range of 5 minutes by car. 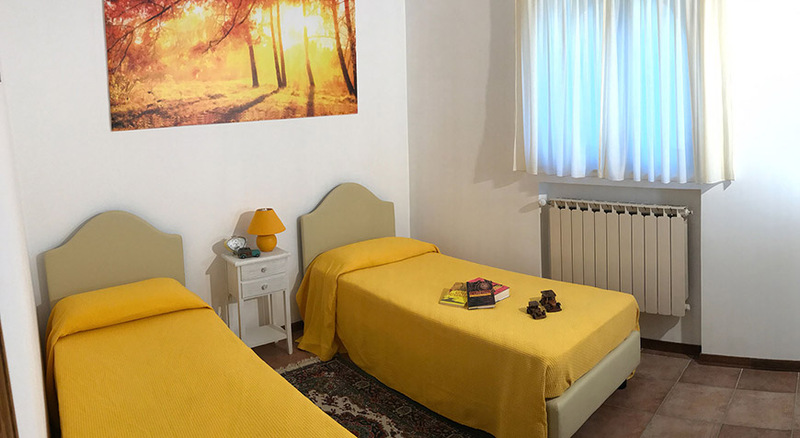 Our comfortable apartment is located in the heart of Chianti just outside Siena, in a quiet area and a very short drive from Piazza del Campo and Duomo. 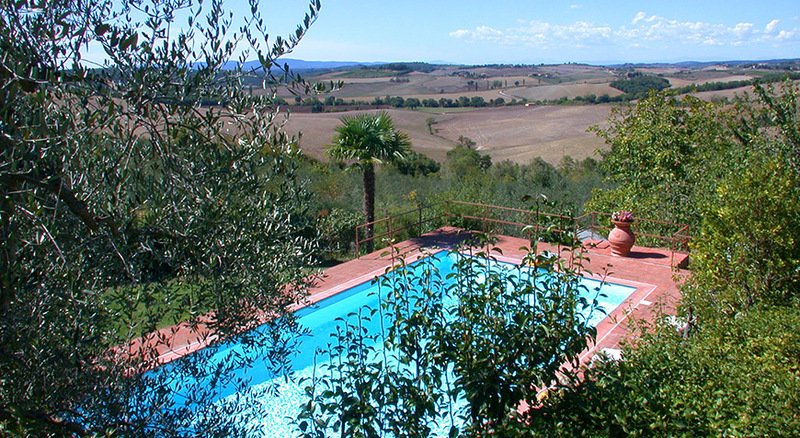 Inside a private Villa with swimming pool, the apartment is in the best location to visit Siena, Florence and the Chianti CountrySide.